Family Medicine is primary care for individuals and families across all ages, genders, and diseases. Family Medicine providers care for all members of a family during all phases of life - infancy, adolescence, adulthood, and senior years. 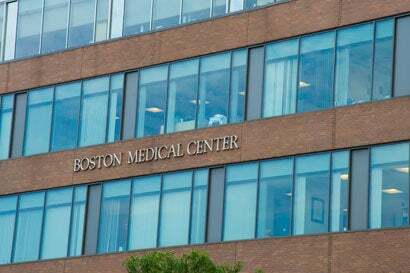 Patients who receive care from Boston Medical Center's Department of Family Medicine select a primary care provider from a group of physicians and nurse practitioners who are trained to meet their healthcare needs, whether in the office, hospital, at home, or in a nursing home. This provider partners with a team dedicated to coordinating the patient's care which includes staying healthy, arranging tests to manage chronic conditions, referrals to integrated behavioral health providers and medical specialists, streamlining hospital admissions, and more. Family Medicine also offers open access scheduling, which means patients can make appointments convenient to their schedules, including same day and same week appointments for routine and sick care services. To make an appointment, call 617.414.2080. When a patient visits, he or she will always see a member of their care team. The care team includes the patient's physician or nurse practitioner, or someone with whom they work very closely, who understands the patient's health history. Family Medicine offers geriatric services for those over age 70. These providers have extra training in caring for the elderly. 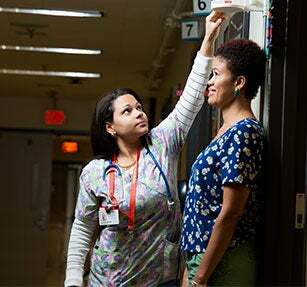 Whether in the office, hospital, or nursing home, they provide high-quality, continuous and comprehensive care to this special population. The geriatrics team also care for patients at Harborlights Rehabilitation and Nursing Center in South Boston and St. Joseph Nursing Care in Dorchester. Integrative medicine combines the best of conventional medicine with safe, effective, evidence-based complementary therapies such as acupuncture, massage, and yoga. The mission of the program is to substantially impact the quality of life for the urban underserved by providing access to integrative medicine clinical services, research, and education.